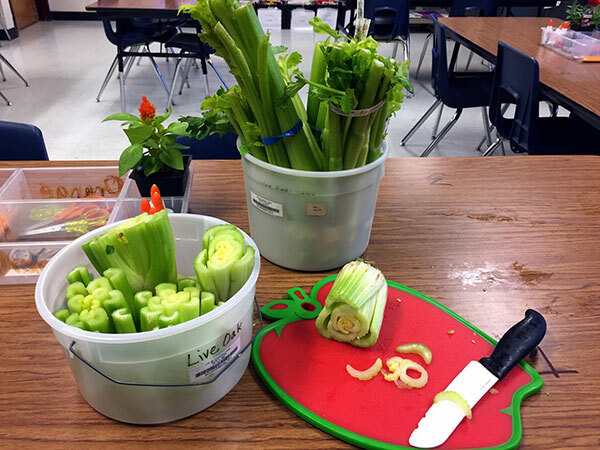 1st graders first explored the celery stalk as we discussed the parts of a plant. Then they mixed two primary colors to make green with their finger for the stem and grass. The celery stalks were then used to mix warm colors and stamp petals.